Did you know you it’s possible to extend a residential property or convert commercial premises to homes, without the need for a full planning application? Many changes to a freehold house, or a commercial office building, can be carried out under permitted development rights – a much simpler approach that avoids the need to gain full planning permission. PD allows for a wide range of changes to be made without making a formal planning application. > Much less hassle – most smaller permitted development schemes do not require neighbour consultation, and when they do it can only be the loss of amenity that causes issues. What can you do within PD Rights? Detailed guidance on the changes allowed in private residential buildings under permitted development (PD) can be found in this publication: “Permitted development for householders: Technical Guidance”. PD is split into eight ‘classes’. The two most relevant classes for residential buildings include Class A that covers rear and side extensions and Class B that covers loft conversions. With certain conditions Class A lets you carry out a three or four-metre rear extension, depending on whether your house is in a terrace or detached respectively. In 2013 the government doubled this amount in some circumstances under what is known as the “Neighbour Consultation Scheme” which is effectively supplementary legislation increasing permitted development rights for residential properties. Class B allows a loft conversion with a volume of up to 40 cubic meters for a terraced house and 50 for a semi-detached or detached house. The government announced proposed changes to roof extensions in the summer budget of 2015 that are likely to make more development possible without planning, including being able to add a storey to your house. For commercial conversion projects, developers need to be aware of Paragraph 51 of the National Planning Policy Framework. This encourages the grant of planning permission for change of use from commercial to residential unless there are “strong economic reasons why such development would be inappropriate”. Legislation will be introduced to back up this principle but authorities will have an opportunity to seek exemptions where they believe such rights will have an adverse economic impact. A PD application – or Lawful Development Certificate (LDC) – is similar to a planning application, although requires less information and may be processed more quickly by your local council than a full planning application. It’s not a requirement to gain an LDC, but it will certainly ensure you are completing works within your rights. This could save a lot of time and money down the line if your property is ever inspected and will also help if you come to sell your house. This is useful for commercial projects too, where you want to sell on the new residential units. There are certain instances where PD rights are restricted, such as within Conservation Areas, and if your property is Listed. PD rights can also be removed for specific buildings or in specific areas, and this should always be checked with the local planning department. Restrictions would normally be in the form of a restrictive condition on a planning approval (if the property is relatively new) or what is know as an Article 4 Direction. PD rights do not apply to residential flats as well even if they are part of a sub-divided house, and most external changes to a flat will require planning permission. Planning Legislation in the UK, including PD, is a complex area. It pays to appoint an expert to make sure you are compliant when designing your new home. 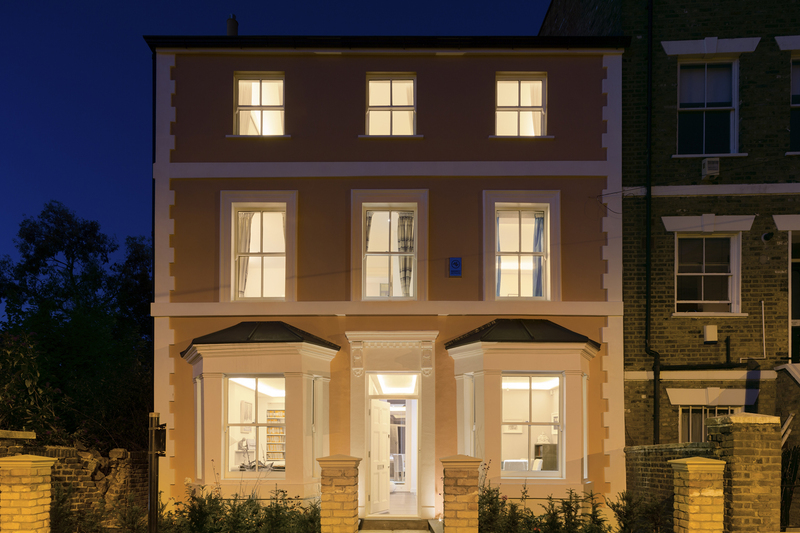 Take a look at our project in Wandsworth for an example of what can be achieved using PD for a private home, or get in touch and we will be happy to advise you.